SNC-Lavalin is defending $15,000 in political donations made during the 2011 federal election to a Conservative candidate by at least 12 company executives and two family members — even though at least one alleged donor says he was unaware any contribution was made in his name. The Montreal-based engineering company's staff made a string of donations on April 30, 2011, to Michel-Éric Castonguay, who was in a hotly contested race in Montmorency-Charlevoix-Haute-Côte-Nord, east of Quebec City. Prime Minister Stephen Harper visited the riding during the campaign. Each person contributed the maximum $1,100 except for a $600 donation by SNC-Lavalin executive VP Michael Novak, whom Castonguay says is a friend of both his and his campaign finance chairman, Conservative Senator Michel Rivard. Their donations, 14 of the 24 received by Castonguay, were two-thirds of his war chest, but not enough to defeat NDP candidate Jonathan Tremblay. The Canada Elections Act has prohibited corporate donations since 2006, and if someone is found to have wilfully made donations in someone else’s name, they could face fines and a prison sentence of up to five years. Do you have tips on this story? Leslie Quinton, spokesperson for SNC-Lavalin, said the staff contributors she was able to reach "said they made the donation on their own volition and were not reimbursed." However, CBC News began investigating federal contributions after revelations last week by an SNC executive at the Charbonneau Commission in Montreal. Yves Cadotte explained to the inquiry on corruption how SNC-Lavalin had its executives make political contributions municipally and provincially and then compensated them through their bonuses. Furthermore, now-retired SNC-Lavalin executive Georges Boutary, who is listed as making a $1,100 donation to Castonguay, initially told CBC News he had never heard of Castonguay nor did he remember donating to his campaign. "I made a donation once, to the Liberal Party of Canada," he said. "That's the only thing I remember, and I got an official receipt, and I've never been compensated by anyone in any way and I did it on a personal basis." He said it would be easy to check because he never uses cash, and there should be a cancelled cheque in his name. Elections Canada said it would make the file available to the CBC on Friday. Fred DeLorey, a spokesman for the Conservative Party of Canada, presented the CBC with a copy of a cheque dated April 20, 2011, that appears to be from Boutary. The cheque is made out to Senator Michel Rivard, the party's official agent. CBC News confronted Boutary with the cheque late Wednesday and he changed his explanation, stating that indeed he gave the $1,100 to Castonguay's campaign despite not knowing him. He refused to comment further on why he and 13 others tied to SNC all gave money to the same campaign at the same time. None of the other contributors was available for comment, including the wives of former executive vice-president Patrick Lamarre (forced to resign in January) or chief financial officer Gilles Laramée. 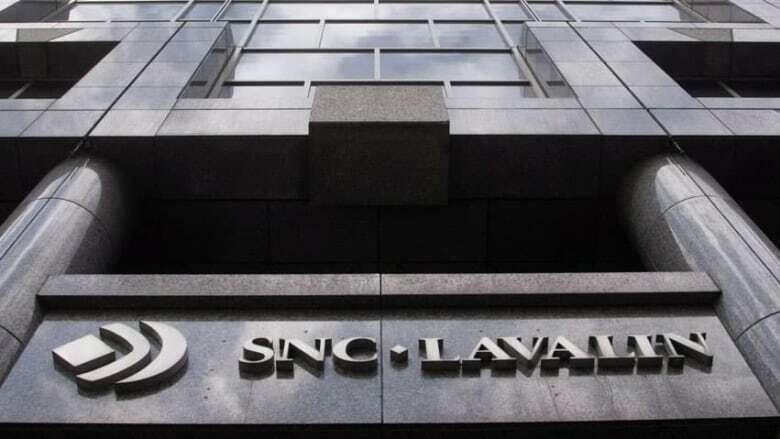 Lamarre stepped down from his job because of the controversy that has dogged SNC-Lavalin for the last 16 months over controversial payments to 'agents' to help secure contracts in foreign countries. The scandal has included allegations of international money laundering, bribery, corruption of foreign officials and kickbacks paid on the McGill University Hospital project in Montreal, that have led to high-profile resignations and charges against some of the company’s highest-ranked executives. Another contributor, former executive vice-president Riadh Ben Aïssa, was inaccessible because he is in a Swiss jail where he is held on charges of money laundering and the corruption of foreign officials. Bloc Québécois Leader Daniel Paillé told CBC News that Ben Aïssa’s involvement, as well as the circumstances behind these donations, is enough to make one "suspicious." Two days before the election, the Conservatives found 14 donors "from SNC-Lavalin, who at the same time, have the same idea to give $1,100 to this candidate," said Paillé. "For us, it's not a surprise, it's the same modus operandi, the same stratagem" as the company used municipally and provincially. Castonguay told CBC News that he didn’t know most of the people on his contribution list but acknowledged that both he and his official agent, Senator Rivard, knew Novak. "I think Mr. Rivard spoke about it with Mr. Novak, and he then spoke about it with his colleagues who then decided to contribute," Castonguay explained in French. "I can assure you that SNC-Lavalin has nothing to gain in my riding, there are no major projects here which suggest that there could have been collusion or something of the sort." Rivard directed questions from CBC News to Conservative Party headquarters, but he himself did not respond. Novak responded by email to CBC: "I did not encourage others to contribute and in fact have no knowledge of others contributing." NDP MP Alexandre Boulerice told the CBC the donations could indicate a broader scope of corruption: "What we are learning in Quebec right now is really amazing and maybe, maybe we have that same pattern at the federal level." Boulerice says it seems like more than a mere coincidence. "It's really strange that all those employees of SNC-Lavalin are giving almost the same amount of money to the same local association on the same day. "It looks like an organized action from a company to give money to a political party." During Tuesday’s question period in the House of Commons, Boulerice asked the Tories about a similar donation cluster from 2009, where 13 SNC-Lavalin executives and their family members donated $14,300 to the Conservative’s Portneuf-Jacques Cartier riding association. Pierre Poilièvre replied that the contributions had "nothing to do with this party or this government." Conrad Winn, a political science professor at Ottawa's Carleton University and president of Compas Research, says it’s not about the $15,000, and it smacks of "attempted corporate corruption." "We are talking about hundreds of millions of dollars in contract dollars potentially not being spent in a fair and objective way." Boulerice says the matter should be looked at by Elections Canada and the Charbonneau Commission. "We want to be sure that those donations were in fact legal, that the employees were not receiving money after their donation," he told CBC News, "and we have to know exactly what was going on there."